Eligibility criteria and age limit of CDS entrance exam for female candidate? Eligibility criteria and age limit of NDA entrance exam for 12th passed candidate? Eligibility criteria of CDS entrance exam for graduate candidate? Am I eligible to join Indian Navy after completing B.Sc Chemistry? Eligibility criteria of CDS entrance exam? Scope or career opportunities in field of Chemistry after completion? Eligibility criteria of CDS exam for 24 years old BBM passed candidate? Re: Eligibility criteria and age limit of CDS entrance exam for female candidate? June, and the examinations are conducted in February and November respectively. But as you are female candidate you can only apply for Officers Training Academy(OTA) in CDS. -> Candidate have to obtain graduation degree from recognized University. -> Candidate must not born before 2nd July 1989 and after 1st July 1995. Upper limit of age relaxation for SC/ST candidate is 5 years and OBC candidate is 3 years. -> Candidate must be a citizen of India. -> Unmarried female candidate and Unmarried/married male candidate can apply for OTA. -> Candidate have to physically fit in order to eligible for OTA. Maximum Number of attempts in CDS is 4 times for any general candidate,7 times for OBC candidate and no limit for SC/ST candidates. This CDS exam is conducted by the " Union Public Service Commission "
<<>> General Knowledge ( Objective Type ) --- 100 Marks ..
CDS examination is conducted by the UPSC twice in a year. This exam is conducted for the selection of candidate as an officer in Air force, Army and Navy. 1. For I.M.A. and Officers’ Training Academy : Degree of a recognized University or equivalent. CDS Stands for Common Defense Service. CDS Exam Is Conduct by Union Public Service Commission (UPSC). You must be passed a graduation degree from a Indian recognized university. Appearing in final year candidates is also eligible. CDS stands for Combined Defence Services Examination. The examination is conducted by the Union Public Service Commission twice in a year. Upcoming Exam will be conducted on 8 September 2013. Notifications along with Online applications have been passed away. As you are B.Sc pursuing candidates, so you are eligible for CDS Examination. CDS has the following wings, you can apply for the wing as per your Eligibility Criteria. -You should have attained the age of 19 years and must have not attained the age of 24 years. - You must have Bachelor's degree from any recognized Institution. - Only Unmarried male candidates are eligible to apply for this examination. -You should have attained the age of 19 years and must have not attained the age of 22 years. -You must have Bachelor's degree from any recognized Institution. -You should have attained the age of 19 years and must have not attained the age of 23 years. -You should have attained the age of 19 years and must have not attained the age of 25 years.- You must have Bachelor's degree from any recognized Institution. - Only Unmarried male Or female candidates are eligible to apply for this examination. Also, you can appear for this exam, if you are in the final year of your Graduation.For General Candidate, minimum required percentage in Graduation Course is 60%. However, for reserved category candidates it is 55%. candidates must be complete any one bachelor degree on recognized university. Candidates must on Indian Citizen. age between on 19-----25 years. Only Unmarried Girls r eligible for CDA Exam. **Male & Female candidates r eligible for this exam. **Candidates must be complete Degree in any recognized University. **If any candidates r in Final yr exams appearing so these candidates also eligible for this exam. **U must be citizen of India. =:Indian Military Academy : 19 to 24 yrs. =:Officers Training Academy : 19 to 25 yrs. =:Indian Navy Academy : 19 to 22 yrs. =:Indian Air Force Academy : 19 to 23 yrs. C.D.S. is a Combined Defense Service Exam which is conducted on the base of the graduation and is conducted by the U.P.S.C. department of India . ** Only unmarried males and females can apply for the exam . CDS(Combined Defence Services)entrance examination is conducted by the Union Public Service Commission. Education: A Graduate or a final year candidate from the recognized University in any discipline can write CDS entrance examination. Gender: Male/Female both can write UPSC CDS Entrance Examination. Age Limit:CDS ARMY: 19-24 years, CDS IMA: 19-24 years, CDS OTA:- 19-25 years. CDS NAVY: 19-22 years, CDS Air Force: 19-23 years. Marital Status: Must be single. Being a female candidate, you cannot apply for NDA exam and in CDS exam also , you can apply for only OTA exam. 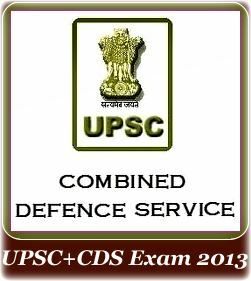 CDS stands for Combined Defence Services and this exam is conducted by UPSC. OTA – Officer’s Training Academy. # You should be a graduate from a recognised university. # Your age should be between 19 years to 24 years. # There is no age relaxation for any category. # You should be unmarried. Can I apply for IAS exam at the age of 34 years old? Whether the age relaxation for resident of J&K is applicable for me? Am I eligible to appear in ISAT exam while pursuing B.Sc at the age of 19 years old? Can a candidate attempt the exam twice under age limit? Age limit for UPPSC & BPSC Administrative Services exam? Age relaxation for domicile female candidate? Am I eligible to pursue MCA having completed B.Com at the age of 30 years old? Will age create problem in getting job?